Our Llantrisant surgery is a purpose built premises which opened in 2001 and has the convenience of a large car park. Llantrisant has a dedicated operating theatre, digital radiography, an ultrasound scanner, modern dental equipment and an in house laboratory for blood work and microscopy. Routine surgical procedures as well as many emergency operations and some orthopaedic work are carried out here. 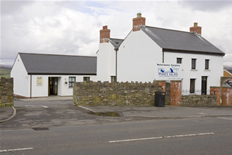 Bleddyn Hobbs MRCVS is the senior veterinary surgeon based at our Llantrisant branch, he is ably assisted by Elaine Humphreys on reception, and qualified nurses Kayleigh Davies and Becci Woodliffe.